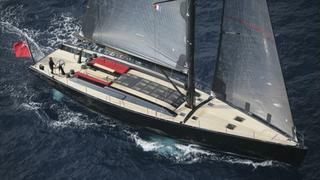 A call to Corrado Di Majo at Equinoxe Yachts confirms that he’s sold the 24m sailing yacht Tango with L'Echo Nautique. She was designed by Bruce Farr and built in 2006 to RINA class by WallyEurope. Tango is the flush deck, three-cabin version of the Wally 80 superyacht design. Tango features only four winches, mounted aft of the social cockpit, and dedicated to the halyards, the gennaker sheets and back up for the main sail and jib sheets. Her interior, designed by Lazzarini Pickering, accommodates up to eight guests in a master, two double and two twin cabins. Tango was asking €3 million.